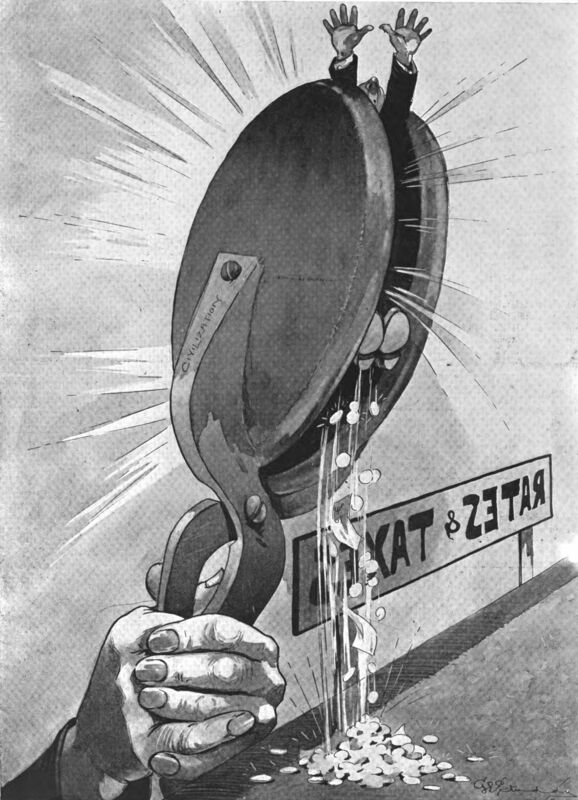 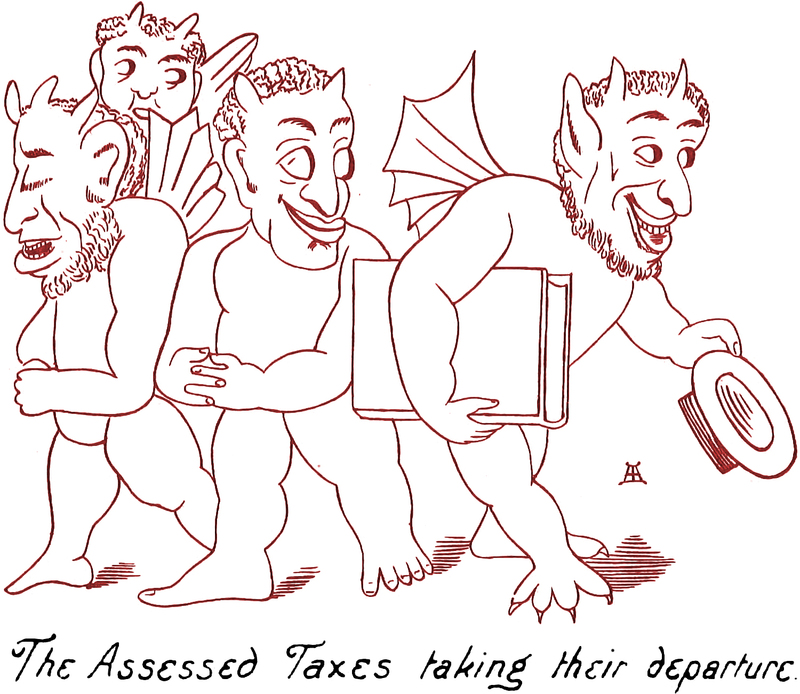 Here's the demon of taxes, from Le Rire, 1916. 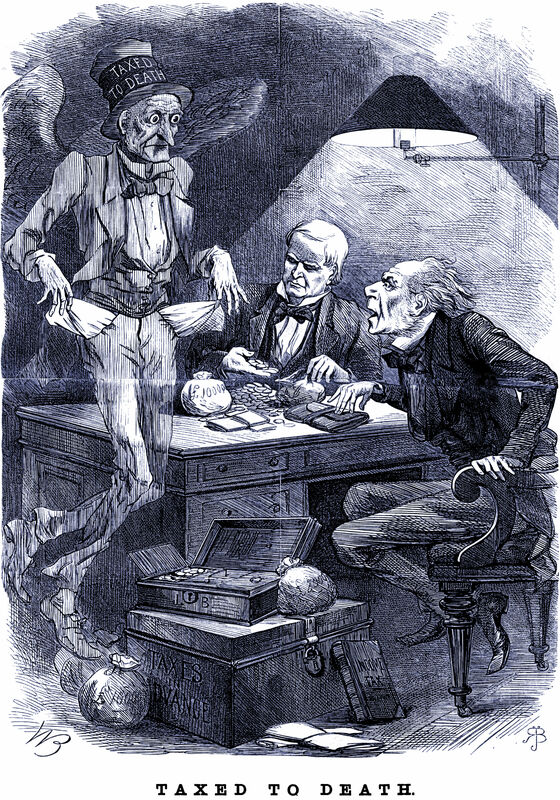 "Taxed to death," from Judy, Or The London Serio-Comic Journal, 1869. 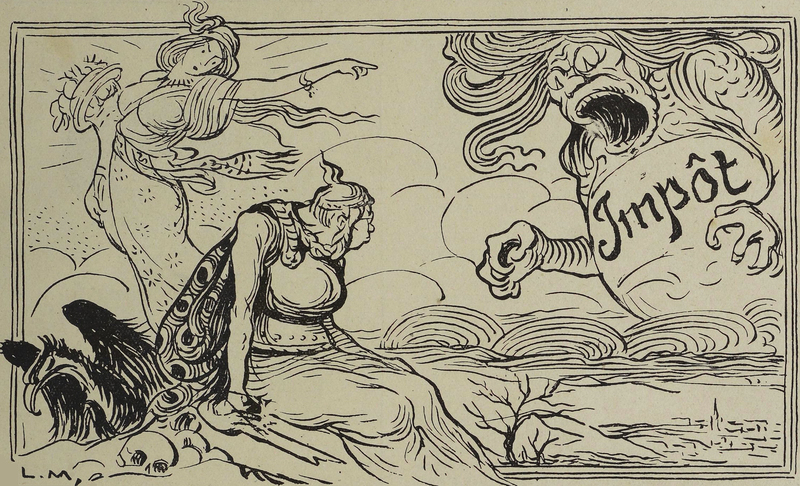 "The Assessed Taxes taking their departure," from Old Times: A Picture of Social Life at the End of the Eighteenth Century by John Ashton, 1885.